Is your busy life keeping you from the life you want to live? Minute Movement is the answer! Everything you need to get started is available for immediate download. Our coaches and community are here to help you be a success, and can help with modifications and encouragement. You are not alone. Our accountability tools help you stay on track with your health goals and are a great way to see where you may need to re-focus your energy. You will always have access to our most current software and program updates as well as the latest and greatest information. Join The Movement - Now! 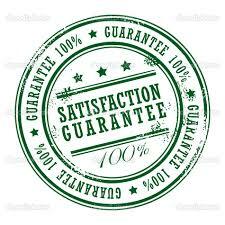 We are so confident that Minute Movement will work for you, that we offer a 60-day no-risk, money-back guarantee. If, after 60 days, you are not completely satisfied with the Minute Movement program, we will refund your payment in full, no questions asked. Because our vision is a world where healthy living is accessible to everyone; we match each Minute Movement subscription purchase with a scholarship for someone who wants and needs the Minute Movement but simply can not afford it. If you are in need of a scholarship and will comment to the program please use this “Contact Us” form and tell us your story. Our goal is to change lives – one minute at a time.